You may customize your Activity names and icons to better match your Activities. For example, you may want to change your "Watch TV" Activity to read "Movie Time" or you may want to make your "Music Time" Acitivty display a musical note as its icon. 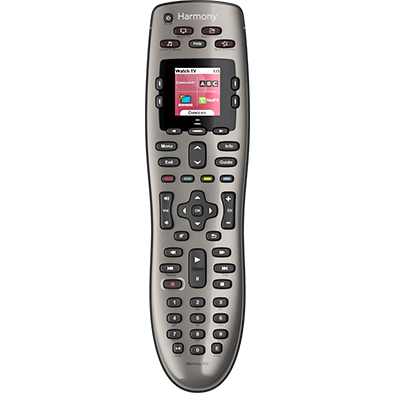 Harmony 200, 300, 350, 600, 650, 665, and 700 remotes do not have the ability to change Activity icons. 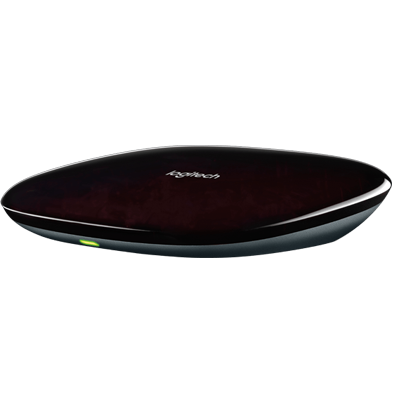 There are various options available to change your Harmony Activity names and icons using your Harmony remote, the Harmony mobile app or the MyHarmony desktop software. Select predefined icons using your Harmony remote or the mobile app. Customize Activity names Using the mobile app or the desktop software. Upload custom icons Using the desktop software. You may customize Activity icons using the Harmony mobile app or your Harmony remote. You also have the option of uploading your own, unique icon. Select Menu > Settings > Activities > Set Icons. Select the Activity you wish to modify, choose a new icon, then press the < back arrow. 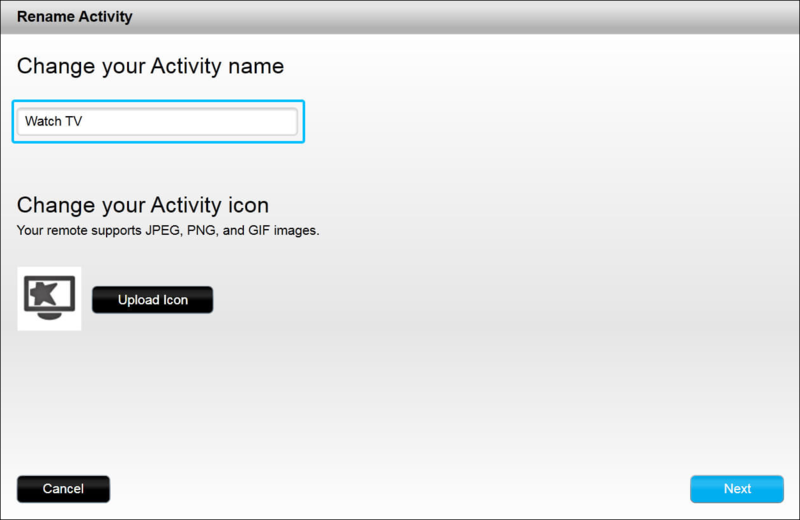 Select the Activity you wish to modify, choose a new icon, then press the > forward arrow. You may customize Activity names using the Harmony mobile app or the MyHarmony desktop software. 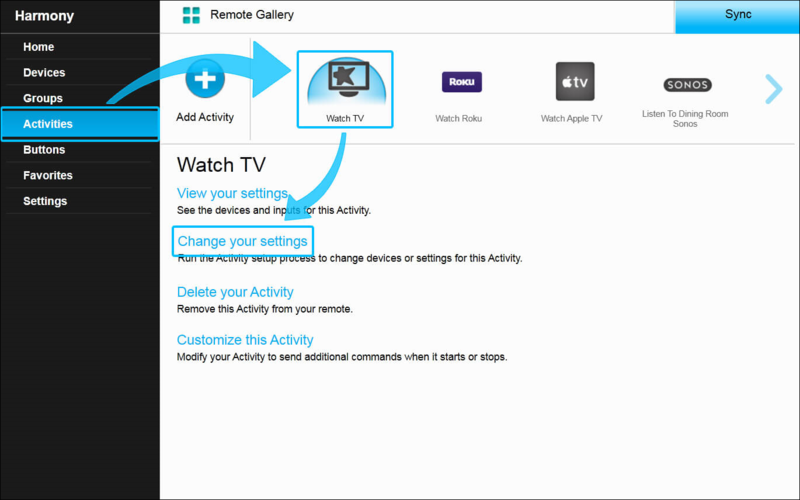 Once changed, your custom Activity name will be updated on all of your other devices, including your Harmony remote. Select the Activity you wish to modify, choose a new name, then press the > forward arrow. Select the Activity you'd like to change, followed by Change your settings. On the next screen, type in your new Activity name and click Next. In order to upload an icon, you must use the desktop software. 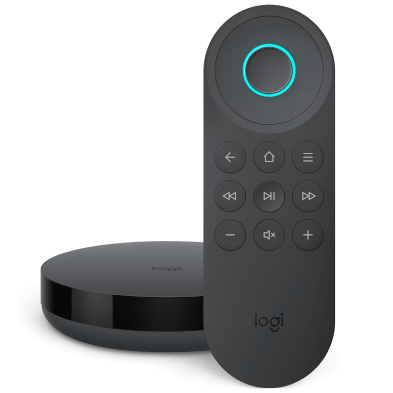 Remember to sync your remote after making any changes. Select the Activity for which you'd like to change, followed by Change your settings. Select Upload Icon and browse for a file on your computer. The optimal size for Activity icons are 70 x 70 pixels. Continue the Activity workflow by clicking Next until complete.